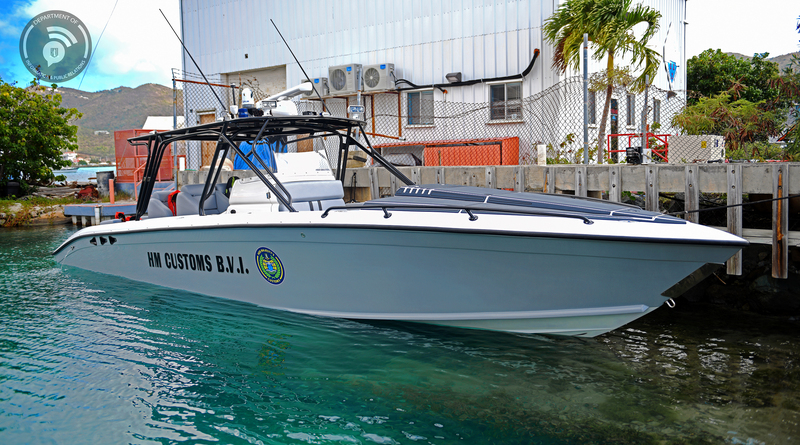 The motor vessel ‘Predator’ which was damaged during the passage of hurricane Irma in 2017 has been fully repaired and is now back with the fleet at Her Majesty’s Customs. 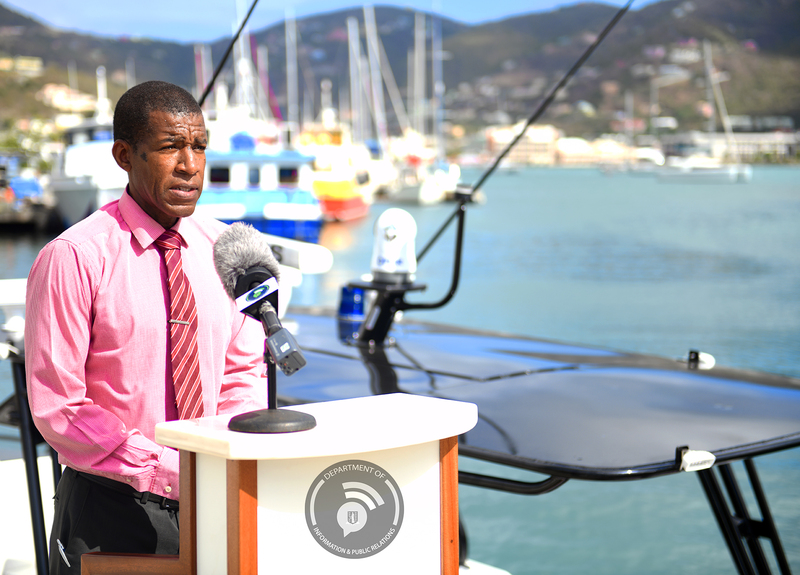 Acting Deputy Commissioner Mr. Clinton Romney said now that the vessel has been repaired, there will now be an increase in patrols of the Territory’s waters. 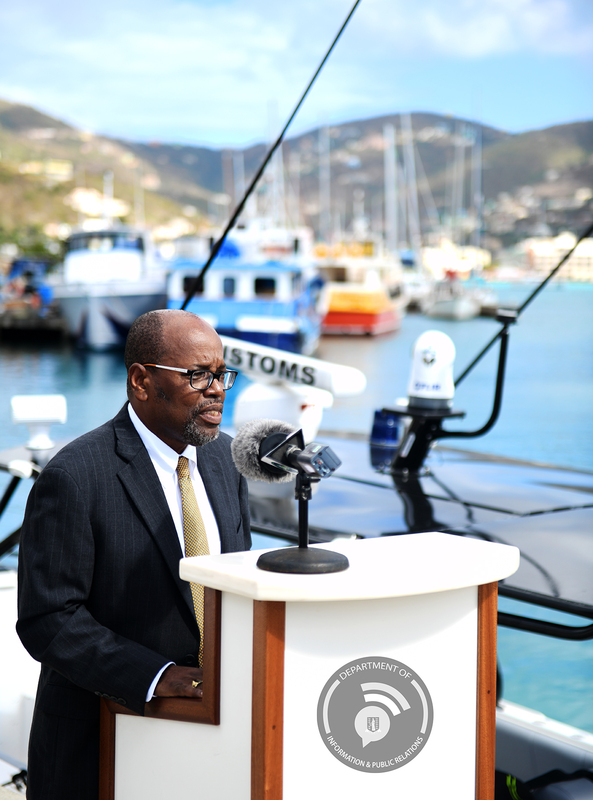 Acting Commissioner of Customs Mr. Leslie Lettsome said while the M/V Predator was being repaired, the M/V Vigilante was used to carry out the responsibilities of the department. Meanwhile, Financial Secretary Mr. Glenroy Forbes commended the Acting Commissioner of Customs and his team for their patience and for doing their best with limited resources to secure the Territory’s borders. The vessel was dedicated at the Elizabeth Ann-Harris Memorial Marine Base on April 11. Her Majesty’s Customs seeks to serve Government and the public with professionalism, fairness and integrity by, providing quality service, maximising the collection of revenue, protecting our Territorial borders and facilitating legitimate trade efficiently, effectively and economically in order to safeguard the well-being and security of the Territory.